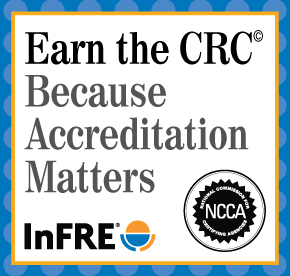 Those who volunteer their time and expertise to serve on a CRC certification program committee help to ensure that the CRC meets the highest credibility standards and is maintained as one of the very few financial designations accredited by the National Commission for Certifying Agencies (NCCA). We simply could not fulfill our ongoing responsibilities to all CRC certificants without the help of our volunteers and words can’t adequately express my gratitude and thanks to those who have served and currently serve on one of our volunteer committees. Many of you have recently indicated an interest in volunteering but have questions regarding responsibilities and time commitment associated with various committees. Therefore, I thought it would be helpful to provide this overview of each of the various CRC committees to all who may have an interest in volunteering now or in the future. The Board of Standards and Policy Development: The Board of Standards and Policy Development (BOS) is the policy-making and oversight body of CRC® Certification. The purpose of the BOS is to independently establish the governing rules and regulations related to the CRC® program, make determinations regarding eligibility and all essential certification decisions, and provide mediation and interpretations for the program as needed by staff and other volunteer groups. BOS members typically serve on one of the other CRC program committees prior to joining the BOS. One-hour conference calls are scheduled each calendar quarter to discuss current CRC program activities and to vote on recommended changes to policy and other matters as needed. A BOS term is for three-years and members may serve up to two terms. 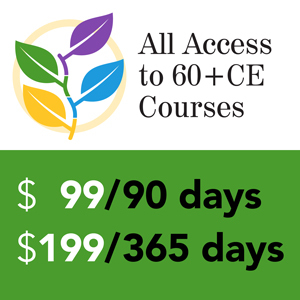 Practice Analysis Committee: The CRC® comprehensive examination is designed to ensure that all CRC® candidates possess the necessary knowledge and skills to competently fulfill their responsibilities as retirement counseling professionals. 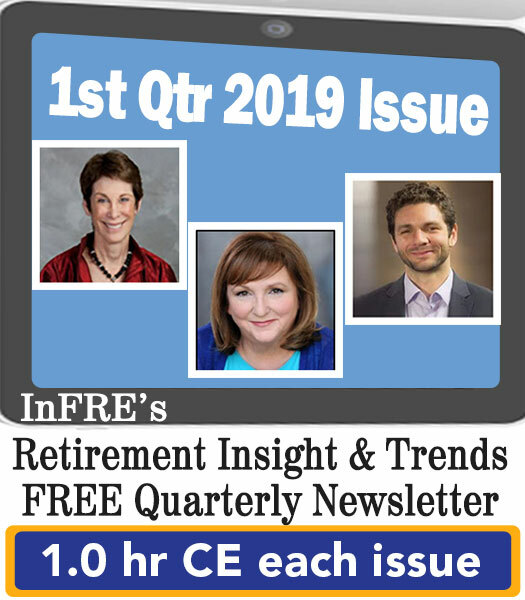 The validity of the CRC® exam is based upon a CRC Practice Analysis (Practice Analysis) conducted every five years to determine the knowledge and skills deemed important for today’s new retirement counselors. Keeping the Practice Analysis up-to-date and relevant is probably the most important thing we do to maintain a credible CRC® program and to meet NCCA accreditation standards. In early 2018, InFRE will be forming a team of 10-12 CRCs to serve on the 2018 Practice Analysis Task Force (PATF). The PATF will make recommendations for updates and changes based on current trends and gaps that may not have been addressed in the last study. Although we ask a considerable amount of time from PATF members over a period of four to six months, meetings are conducted virtually, and the commitment ends when the Practice Analysis is complete. PATF volunteers will also receive ten hours of CRC® continuing education credit and a waiver of annual CRC® renewal fees for two years. Examination Committee: Sound credentialing practice requires that the CRC comprehensive exam is updated at least every three years. With guidance from InFRE’s psychometric consultant, the Exam Committee develops the certification exam and monitors its performance. Committee members may be asked to write exam questions and/or help with the construction of an updated exam form. Exam questions may be submitted as time allows and the next updated exam construction will begin in early 2019. We will ask committee members to participate in several virtual meetings over a period of two to four months and there typically is a little homework involved. Examination Committee members will receive CRC® continuing education credit and a waiver of annual CRC® renewal fees based on their level of participation. Recertification Committee: The Recertification Committee develops the recertification system and monitors its performance, including quality assurance through audits of Certificant applications. Appeals Committee: The Appeals Committee considers and makes determinations on appeals made by candidates or Certificants. Disciplinary Committee: The Disciplinary Committee is responsible for enforcing and administering the disciplinary procedures established by the BOS. Although the requirements for the Recertification, Appeals or Disciplinary Committees are ongoing, the time commitment related to each of them is minimal and only on an as-needed basis. Terms of these committees are for one year and each committee member may serve up to three consecutive terms at their discretion. Members of these committees will receive a waiver of annual CRC® renewal fees for each year served. I hope you will consider serving as a volunteer on a CRC committee or the Board of Standards. Please download and complete the InFRE Volunteer Application Form or fax the completed form to 847-756-7350 on or before December 1, 2017.